The scope and scale of our civil construction operations rivals the big guns of the roading industry, yet we have the agility and flexibility to tailor our approach to every unique roading infrastructure project. 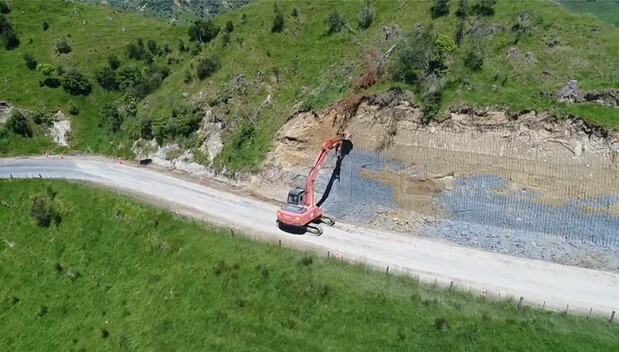 Inframax construction teams delivery of safe work sites, quality products and good temporary traffic management are the equal of any construction crews in the central North Island. 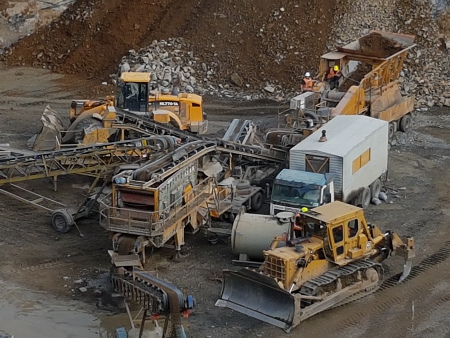 We are able to supply and deliver aggregate throughout the central north island to enhance the cost effectiveness of our projects plus we have our own in house chip seal capability. 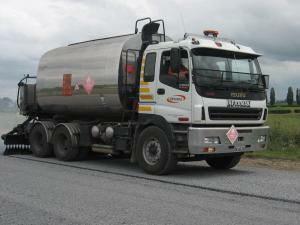 We have a long history of partnering with local councils to deliver ongoing road maintenance contracts. Currently, Inframax crews maintain 3,565km of local authority roads and state highways in the central North Island. We approach every road maintenance contract with a critical eye to ensure an accurate inspection is carried out to kick start the project. Read about our current Maintenance Projects here. All of our earthworks operators have significant experience and are trained in the safe operation of heavy equipment, job planning and installation and management of environmental controls for work sites. Inframax’s crushing and screening equipment is a fully mobile plant that can be moved and assembled on site in only a few hours. The crusher plant comprises of two units: a primary unit and secondary unit, capable of producing a range of TNZ / NZTA specification aggregate. All quarry operations are supported by Wheeled loaders, Bulldozer, Excavator, Truck mounted diesel generator (Genset), Water truck for dust suppression and a Rock breaker when required (mounted on 30 tonne excavator). 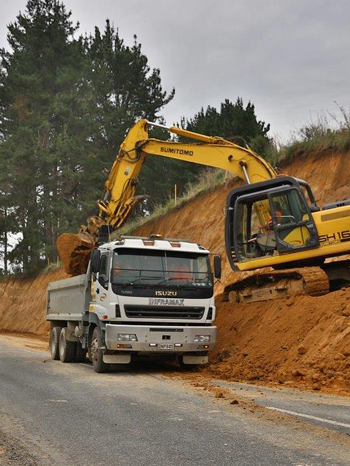 Inframax manages a dozen quarries across the central north island in the Otorohanga, Waitomo and Ruapehu Districts, supplying aggregate for road construction, road maintenance, farm earthworks, forestry roading, bridge/underpass construction and industrial hardstand projects. We are able to configure our plant to suit specific orders and source rock properties of the quarry we are in (within reason). Inframax is able to provide a range of products to TNZ / NZTA and other specifications including M/4, GAP, WHAP, AP and drainage product lines. The mainstay of Inframax’s sealing resources is our 10,000 litre E2 certified telescopic gang sprayer and the chip sealing team. 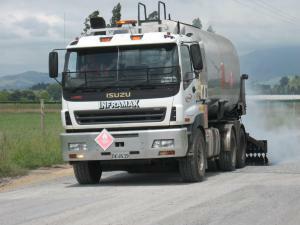 This modern sprayer provides computer controlled distribution of bitumen onto a road surface with great accuracy. Inframax Te Kuiti houses a 40,000 litre HSNO certified bitumen storage and blending facility. The Te Kuiti based 10,000 litre E2 bitumen sprayer is supported by a team of dedicated 6 x 4 chip trucks (with roller spreaders), sign truck, PTR roller and tractor broom. Inframax also owns a 4,000 litre E2 certified maintenance sprayer based in Taranaki. 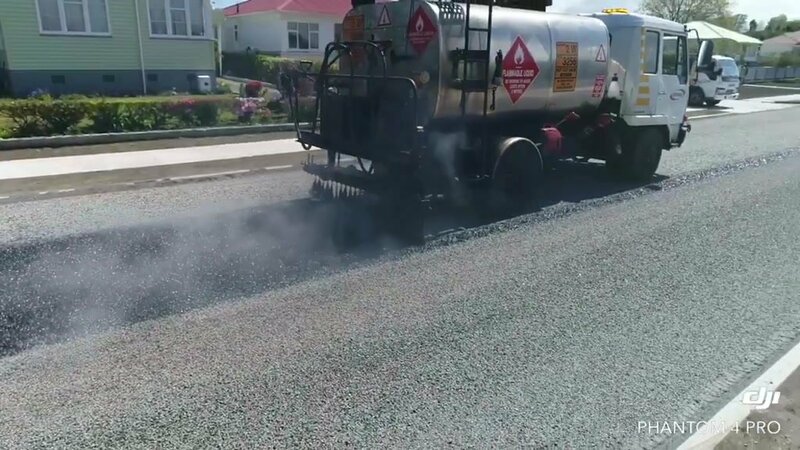 With these resources and backed by a strong, experienced and qualified sealing team, Inframax routinely undertakes 1st coat sealing, crack sealing, surfacing of maintenance patches, reseal programmes and chip sealing of small projects such as carparks, driveways and tanker entrances across the central North Island.